Anyone who knows me will be aware that I am a huge fan of Lush Cosmetics. 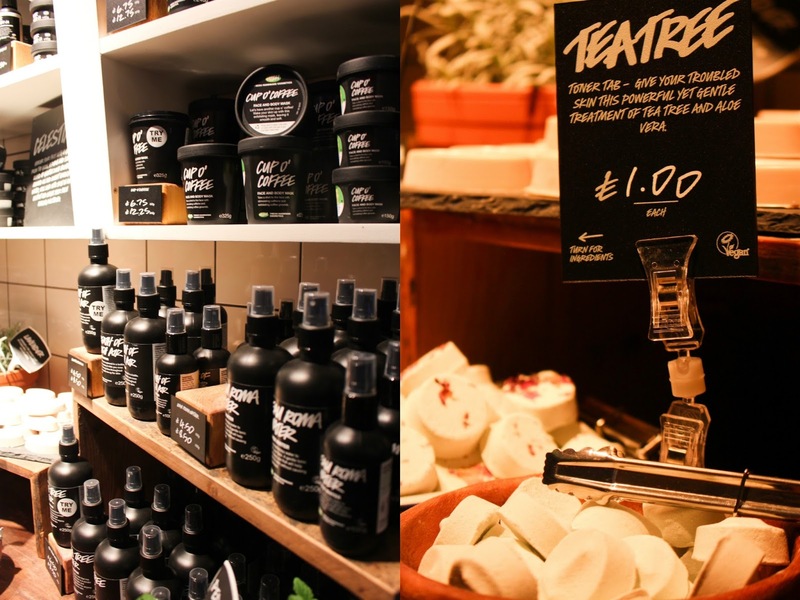 I can remember when I first started using their products many moons ago and here I am writing about an exclusive event I was invited to at their Lush Bournemouth store, crazy! Lush Bournemouth is one of my local stores and they shut their doors temporarily in the summer with the announcement of an exciting refurbishment. Lots of Bournemouth bloggers were invited to an exclusive event, allowing us to see the store a day early! I have never attended a blogger event before so it's safe to say I felt a little anxious about it all but it didn't take me long to hunt fellow Bournemouth bloggers down on Twitter and I arranged to meet a few lovely girls prior to the event - Ciara, Louise and Georgia, Meeting with these three girls was the best decision and made the entire evening ten times better, allowing me to come out my shell a little more - with the help of alcohol of course. Walking into the event your name was checked off a guest list and you were given a lanyard which (in good old Lush chalkboard style) had your full name and Twitter handle written which I think we all got a little excited about, but realistically they were the perfect way to ensure you didn't awkwardly forget someone's name halfway through the evening. Walking into the store I had one girl hand me a basket with a Christmas themed wrap tied on the handle and in the other hand I was handed a glass of bubbly, both followed by a quick realisation that we were going to be juggling cameras, bags, phones, alcohol and products for the rest of the evening! Immediately I noticed that the store seemed bigger purely due to the new layout and even though it was filled by bloggers and staff it felt like there was more space to move around in comparison to the old design. Every range of product was displayed clearly with a lovely member of staff ready and waiting to talk to you and make you fall in love with something new - I cannot put into words how lovely each and every staff member was! 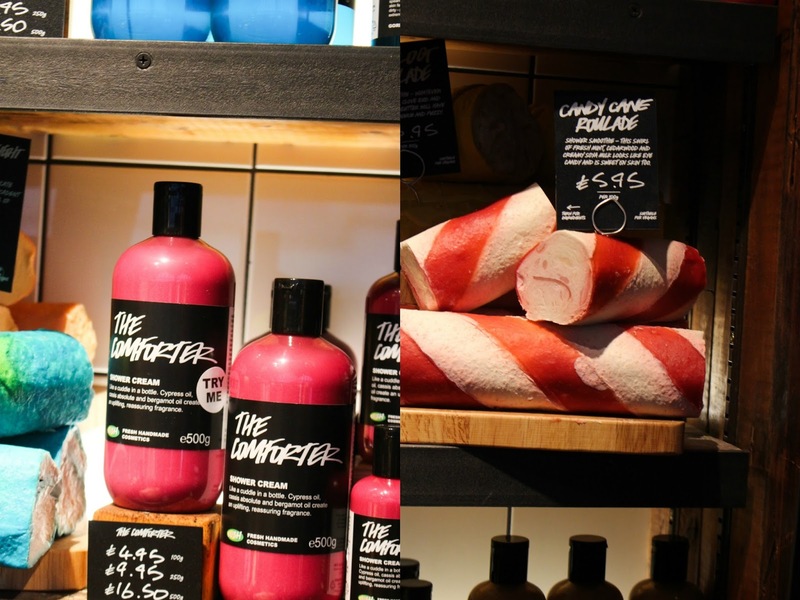 One of the most exciting aspects of the re-refurbishment was the addition of the Lush make-up range as Lush Bournemouth is the fourth store in the world to stock it, with some of the products not even being available online. As a self confessed make-up addict I can't deny I want every product, especially their lipsticks because the shades are absolutely gorgeous. Overall the store re-refurbishment is really impressive and was easily worth the wait. Every where I looked there was something exciting to see and I cannot emphasise how well everything is displayed, if you went in there for something specific you'd be able to find it in a matter of seconds. When we ventured outside there was a brass band, a demonstration stand where we got the chance to create our own Ruby Red Slipper, mine went horribly wrong from the beginning and ended up with a crack down the middle, but luckily for me it will still do the job at making bubbles. Outside was also a lovely lady serving exciting cocktails, all I heard was the words 'salted caramel' and I immediately said yes before she could finish her sentence as I am obsessed with anything salted caramel. It turned out to be a yummy but rather strong cocktail and admittedly I couldn't finish it because I'm not one for strong drinks and I'm such a lightweight I would have ended up far too tipsy. Time absolutely flew by and after we all ended picking up new products to try, I already have a large Lush order sitting at home waiting to be used so I decided to just purchase one item - the Big Blue bath bomb which was demonstrated to me by one of the kind members of staff. The scent made me feel so refreshed and as the girl explained the benefits of seaweed I was won over. Although we did all purchase different products, we were also kindly given choices of products to take home with us! We were also allowed to choose a biscuit of the Christmas tree, I chose the cute dinosaur that they use for their Santasaurus Bubble bar, but it was hard to chose between that and a The Christmas Penguin biscuit. I am so thankful to the Lush team for putting this event together as well as the members of staff who spent their Friday evening with us massaging hands, serving cocktails and overall being brilliant! There is of course a vlog from this event that will be linked on a separate post as this one is going up in the morning and the video shall be going up in the evening so keep your eyes peeled on my channel! 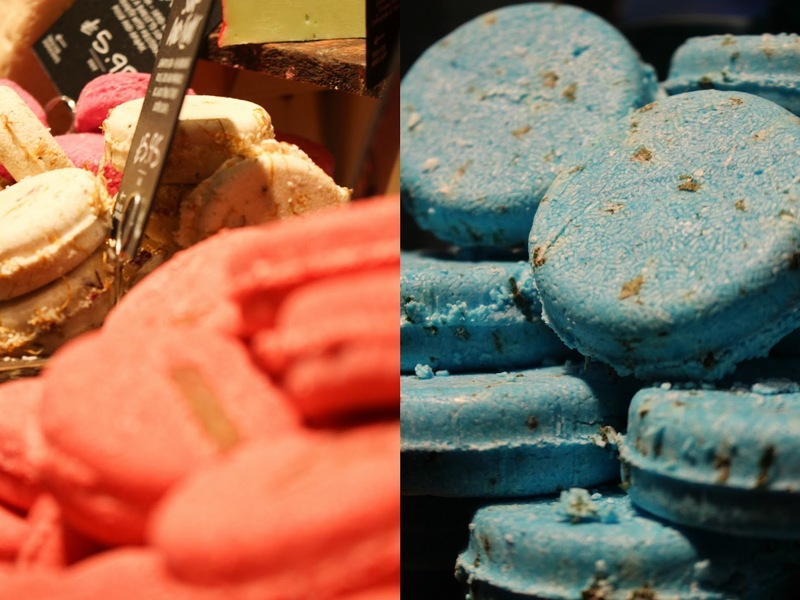 Are you a lover of Lush Cosmetics?